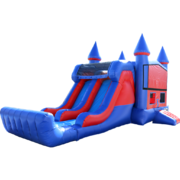 Don't settle for less and bring the complete party package to your next Lafayette party or event with one of our combo bouncers! 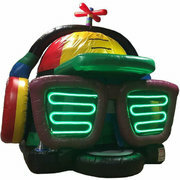 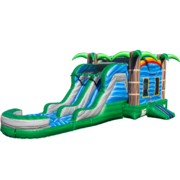 These massive inflatable units are loved by all, as they combine the thrills of a bounce house with the excitement of an attachable water slide! 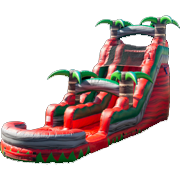 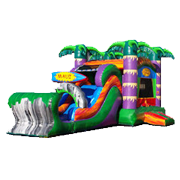 Depending on the event and the weather, you can opt for either a wet or dry slide to serve as the perfect accompaniment to the bounce house portion of the combo! 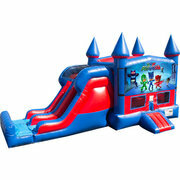 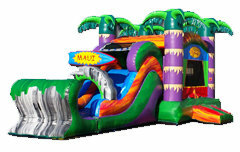 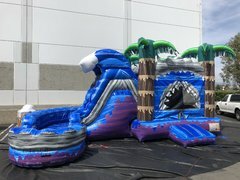 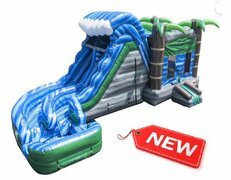 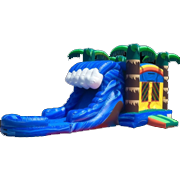 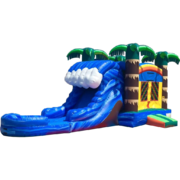 Some of our funnest offerings in this category include the Tropical Dual Lane Water Slide Combo and the 3n1 Modular Combo! 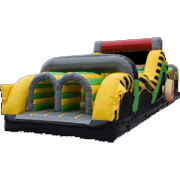 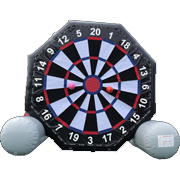 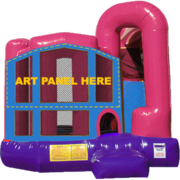 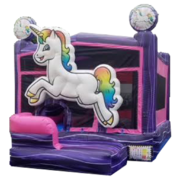 Each unit includes all standard bounce house features such as a safety step, mesh windows, and non-toxic materials that are safe for partygoers of all ages. 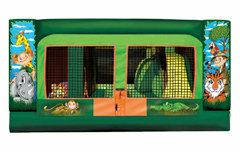 Rely on Bounce E Bounce, LLC to provide you with top-tier combo bouncers in and around Lafayette! 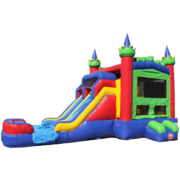 Browse our options below and make your reservation today. 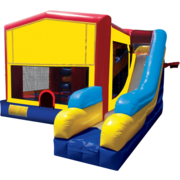 We deliver all across Acadia Parish, so don't hesitate to call to learn more about the exciting party rental offerings at Bounce E Bounce, LLC! 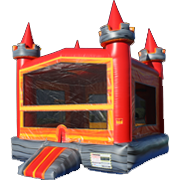 Scroll down to see all bounce house rentals & click on the title or image for more info & online ordering.